Most people only think about hiring a locksmith when they get locked outside their property, However, while this is among the major services to expect from a locksmith, it is not the only service, There are plenty of other unique services that a professional locksmith can assist you with, Below is a description of some of our top locksmith Spartanburg and Greenville South Carolina services to help you out. Our broad range of automotive locksmith services includes unlocking your car doors, replacing car keys and also doing ignition repair, If you lose your car keys and you require a fast unlock car door service from an expert, you can call us immediately, and we will have it sorted out for you, We use the latest tools and skills so that your car is not damaged in any way during the process, We also offer additional car key replacement services as you will need new keys to access your cars, We will even provide you with a spare key and advise you on the best places of placing that spare key to avoiding the same hassles in future, For those who break their keys inside their ignition, you can get your key made and ignition repair from our qualified locksmiths in Spartanburg SC. House lockout is a common issue that we have helped resolve for many of our clients, This is when you are unable to enter your own home because of misplacing or losing your house keys, Our Spartanburg SC technicians will come to your house and open the door for you so that you can enter your house, We also offer the additional services of a locks change or re-key locks, Since you have lost your keys, you will need new keys, which we can produce for you and also help in re-keying the locks or installing new ones, Depending on your budget, we will recommend the best option. 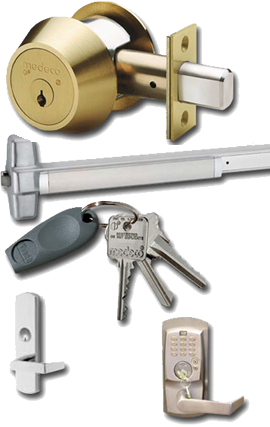 For commercial clients, we can assist with re-keying and also dealing with a business lockout, Getting locked out of your business can cost you lots of sales, and thus finding a quick solution is important, We offer fast and efficient business lockout services so that you can resume your normal work duties, Our team in Spartanburg SC can replace the lock cylinder and do re-keying so that the previous keys will not work on your doors, This will safeguard your business from theft or vandalism if a thief or disgruntled employee is the one who stole the original keys. One of our most important services is the 24/7 Spartanburg locksmith South Carolina service, where we guarantee availability any time of day or night. If you get locked out of your car or home at an unsociable hour, you need instant results and not a promise of later or tomorrow, We are open for business all day and all night long so that our clients can call us when they need fast and effective 24 /7 locksmith service, Contact us today for a quote. We are here to help serve you with these situations no matter where you are located, We hire only the best locksmiths who are highly skilled and reliable, If you are ready to step up your level of security or if you want an easy way out from a lockout situation, you just have to give our experts a call.